Hundreds of us are trying to save money, so I created a Facebook page where Survival Moms (and anyone else with a savings goal) can network and be part of the 52 week savings club. Visit our page, and if you like what you see, click, ‘Join Group’. 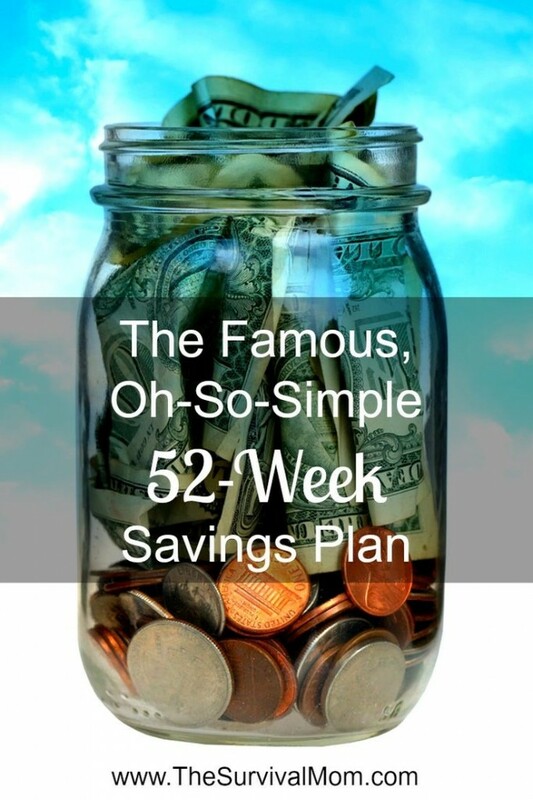 You can share tips for saving money each month by sticking to the 52 Week Savings Plan! FREE PRINTABLES: Track your savings with these free printables!